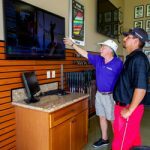 Phil Moore, Owner of Phil’s Custom Golf, has always been an avid golfer. His passion for the game has taken him in many directions. 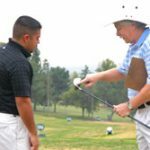 He’s a professional club fitter, club builder, golf coach and golf writer. 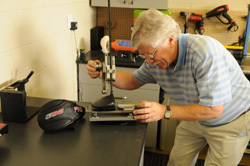 Phil has over 20 years experience in golf club fitting, building and repairs. 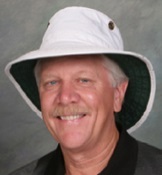 He’s written two books on golf, The Mad Science of Golf and Understanding Golf. Finally, Phil is primarily a golf coach. 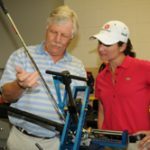 After playing, studying and writing about golf for 40 years, he’s acquired a pretty good understanding of how the game is best played and most effectively taught. 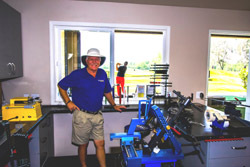 Phil, along with Steve Tanis and Ken Joersz, his assistants, are trained KZG Master ClubFitters. 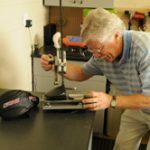 Phil and Steve are rated World’s Top 100 ClubFitters for 2018. 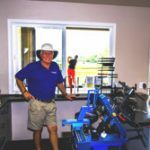 Phil will tell you he has three simple missions – first, fitting golfers for custom built clubs that are affordable and easy to use. Second, provide tour van quality re-gripping, upgrades and repair services. 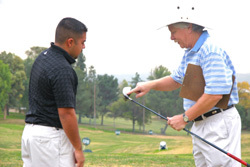 Third, teaching golfers how to better understand the game and play to their full potential. Contact Phil today to upgrade your game. You’ll be glad you did!